A fantastic, crispy, hot sandwich of pork, ham, cheese and mustard. 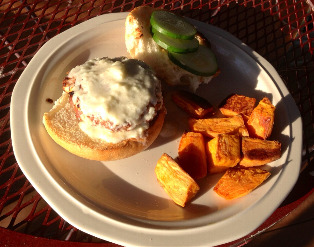 A yummy summertime grill recipe where you make your own BBQ sauce! Another classic Latin American dish featuring crispy tortillas with heaps of cheese, chicken, and onion. A yummy recipe to celebrate the return of warm weather. Juicy chicken pieces smothered in spicy yogurt marinade, with a warm flatbread to wrap it all up. You've had grilled cheese, but you've never had anything like this before! We put in carmelized onions, apples, provelone and more, but you can add anything you like! This great dish combines the subtle richness of a cream-leek sauce with some tender and juicy chicken breast. Yum! A classic and delicious dish that will test your cooking abilities. Make sure to prepare your mouth ahead of time for the delicious flavors. Forget Chinese restaurants, you can make this dish in your very own kitchen! Who knew rice could be so good. This fantastic dish is composed mainly of Parmesan cheese, caramelized onions, and, of course, rice. Warm, toasty bread. Delicious meatballs. Just a little sprinkle of Parmesan cheese to top it all off. This dish won't disappoint you. A hearty stew filled with mushrooms, sausage, onions, and beef that will delight both on the coldest of winter nights and the warmest of summer days. This Southern dish will take you away to a Mexican Cantina. Many flavors combine to create an amazing soup that you'll be making for a while. This delicious Mexican recipe will knock your metaphorical socks off. With ease. Summer's red bounty is back in full force packing a delicious punch in this fantastic recipe. Serve up this healthy and easy recipe when you're in the mood for a fishy treat. Some say Chinese dragons may have created this particular recipe. We can't attest to that, but we can say that this dish tastes great. Savory Blue Cheese flavor with delicious bison meat. A great recipe for any time, at any place. Easily made, and edible in four bites. Four delicious, flavorful bites that may just leave standing there and saying "wow". Delicious turkey meat, warm feta cheese, and savory cucumber sauce. 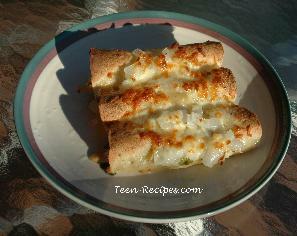 Yet another delicious and easy to make recipe. 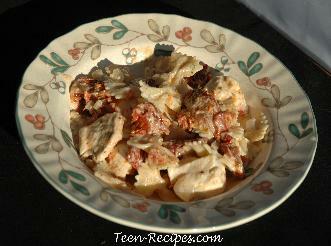 A certainly daunting and delicious recipe, but it is a recipe for teens and I think you're up to the challenge. 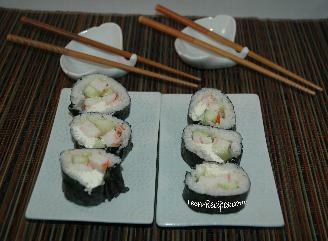 If you like sushi then try this recipe. This fantastic recipe consists of tangy sun-dried tomatoes, tender chicken pieces, and a wonderfully creamy pasta compliment. Chicken soup is delicious. 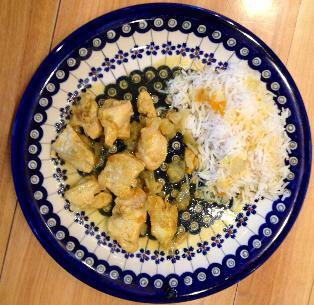 Don't let hard recipes daunt you from making this great dish! 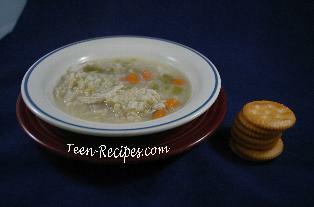 Try Teen-Recipes.com's delicious yet easy chicken soup recipe. 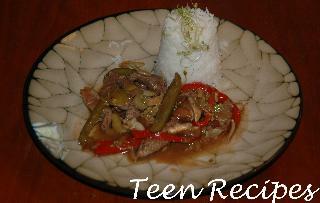 This recipe can bring anyone away to some fantastic Chinese restaurant that big cities are known for. Combining all incredible flavors into one, great looking package, We're sure you'll enjoy this recipe! No longer must you suffer through homemade meatloaf. This recipe will have you actually wanting to eat it! And if you love meatloaf, you're about to love it even more! It may not be the healthiest recipe in the book, but hey. Everyone deserves something special every now and then right? Make this whenever you feel up to it! That's an occasion to celebrate! People may say they don't really like ravioli. Well, they will think again when they taste this recipe. You will find it very hard, if not impossible, to not like this recipe. Sorry, not going to happen! 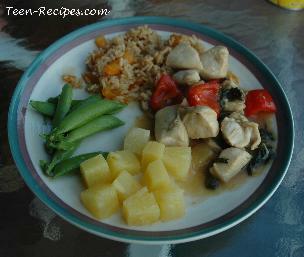 A fantastic summer-time grill recipe that can be easily made! Enjoy these mouthfuls of delicious food! Flavorful, delicious, and fantastic. This amazing recipe can make anyone's mouth and face light up with delight. This scrumptious recipe will carry your mouth and mind away to some far off region of India and leave your body back home. This is a truly incredible meal that we totally recommend making! Just the right amount of spiciness, and just the right amount of flavor. A little on the expensive side though. Like I said, a must make. This heavenly sandwich will have anyone getting seconds. 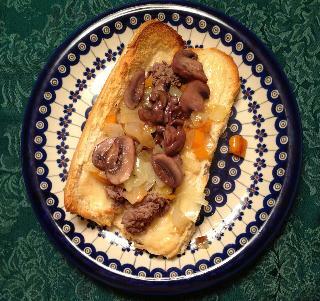 Bursting with steak, cheese, mushrooms, onions, and peppers, this dinner will excite anyone's taste buds. Crispy brown bread, heaps of corned beef, and lots of cheese. What could be better? Fantastic is really the only fitting word to describe these culinary masterpieces. Each bit gives you something new, whether it be garlic, Asian spices, or ginger.